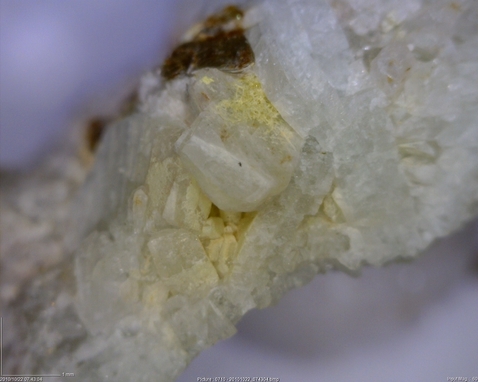 Carlosbarbosaite: Mineral information, data and localities. Named in honour of Carlos do Prado Barbosa (7 January 1917, Alfenas, Minas Gerais, Brazil - 7 April 2003), chemical engineer, mineralogist, and mineral dealer. In his early career, he worked at the National Institute of Technology in Rio de Janeiro, Brazil. As a dealer, he was known for bringing many rare and unusual species to market. He was a co-author of the descriptions of bahianite and minasgeraisite-(Y). Long flattened lath-like crystals with a very simple orthorhombic morphology. 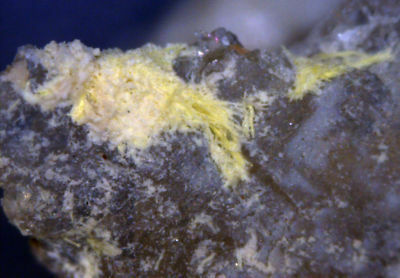 The crystals are elongated along , flattened on (100) and up to 120 μm long and 2–5 μm thick. Museu de Geociencias, Instituto de Geociencias, Universidade de Sao Paulo, Rua do Lago, 562, 05508-080 Sao Paulo, Brazil, number DR707. Atencio, D., Roberts, A.C., Cooper, M.A., Menezes Filho, L.A.D., Coutinho, J.M.V., Stirling, J.A.R., Venance, K.E., Ball, N.A., Moffatt, E., Chaves, M.L.S.C., Brandão, P.R.G. and Romano, A.W. (2012) Carlosbarbosaite, ideally (UO2)2Nb2O6(OH)2•2H2O, a new hydrated uranyl niobate mineral with tunnels from Jaguaraçu, Minas Gerais, Brazil: description and crystal structure. Mineralogical Magazine: 76: 75-90. Atencio, D., Roberts, A.C., Cooper, M.A., Menezes Filho, L.A.D., Coutinho, J.M.V., Stirling, J.A.R., Ball, N.A., Moffatt, E., Chaves, M.L.S.C., Brandaõ, P.R.G. and Romano, A.W. (2010) Carlosbarbosaite, IMA 2010-047. CNMNC Newsletter No. 7, February 2010, page 28. Mineralogical Magazine: 75: 27-31. Atencio, D., Roberts, A.C., Cooper, M.A., Menezes Filho, L.A.D., Coutinho, J.M.V., Stirling, J.A.R., Ball, N.A., Moffatt, E., Chaves, M.L.S.C., Brandaõ, P.R.G. and Romano, A.W. (2010) Carlosbarbosaite, IMA 2010-047. CNMNC Newsletter No. 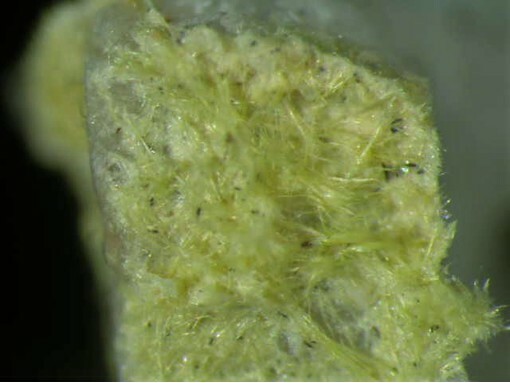 7, February 2010, page 28; Mineralogical Magazine, 75, 27-31; D. Atencio, A. C. Roberts, M. A. Cooper, L. A. D. Menezes Filho, J. M. V. Coutinho, J. A. R. Stirling, K. E. Venance, N. A. Ball, E. Moffatt, M. L. S. C. Chaves, P. R. G. Brandão, and A. W. Romano (2012): Carlosbarbosaite, ideally (UO2)2Nb2O6(OH)2•2H2O, a new hydrated uranyl niobate mineral with tunnels from Jaguaraçu, Minas Gerais, Brazil: description and crystal structure. Mineralogical Magazine, 76, 75-90.